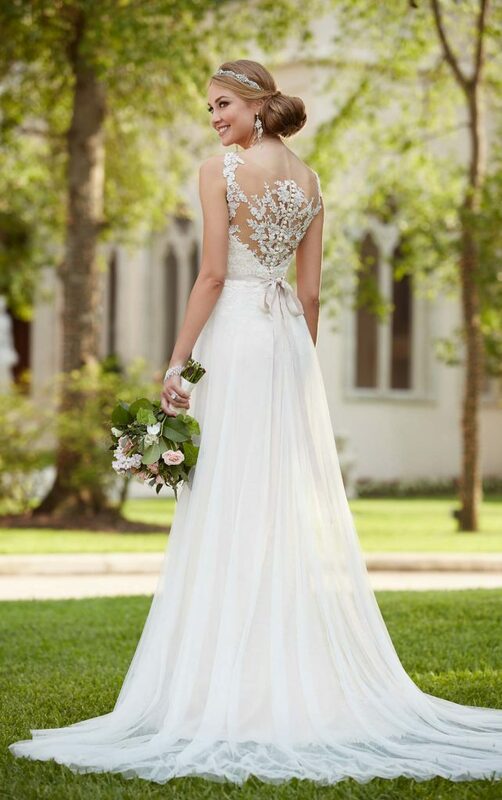 We love her lace illusion back! Willow is perfect for brides who want a beautiful lace detail bodice and elegant light tulle skirt. With the option of a coloured belt to add something different to the gown.